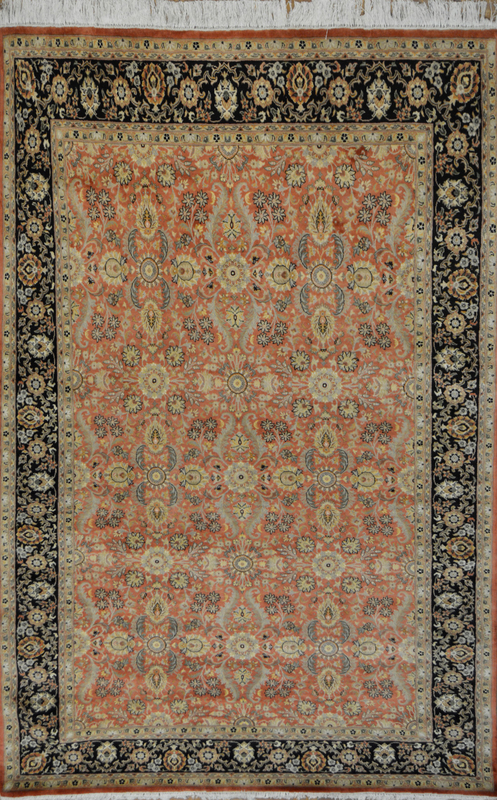 Qum Millefleurs: 9'3" x 6'2"
This fine area rug features a traditional dense all over pattern inspired by Persian designs originating from the Iranian city of Qum. 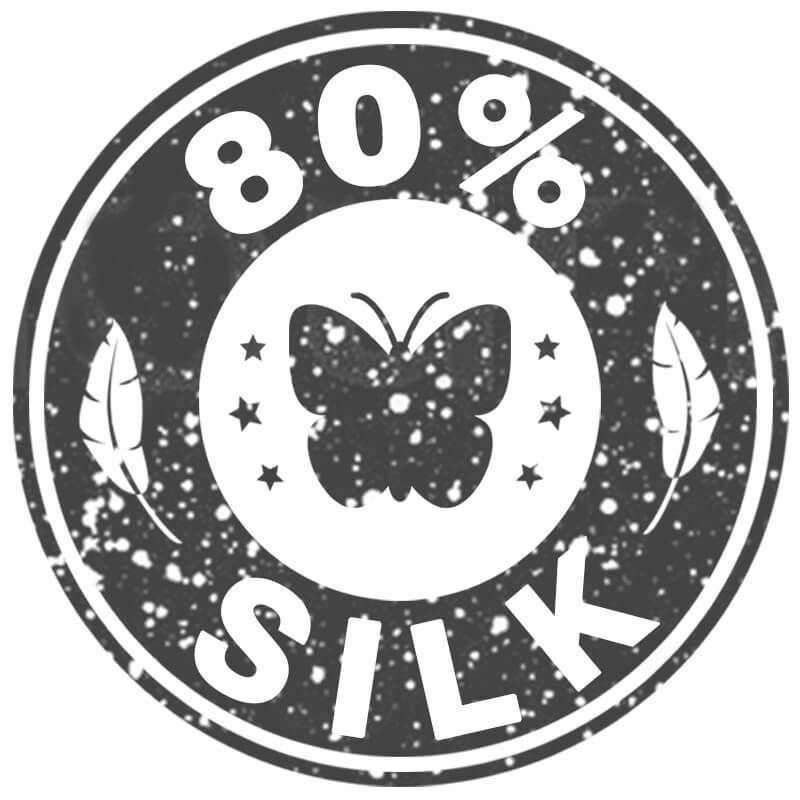 It has been carefully hand-knotted with a blend of pure silk and wool in northern Pakistan. It is in excellent condition and features lotus flowers throughout its dark border, which symbolize immortality and rebirth. Its field is rich in symbolism. Among its most prominent symbols are that of peonies, leaves and blossoms. Symbolism in Persian rugs or Persian style rugs are passed down from generation to generation and were believed to protect the rug owners from misfortune. 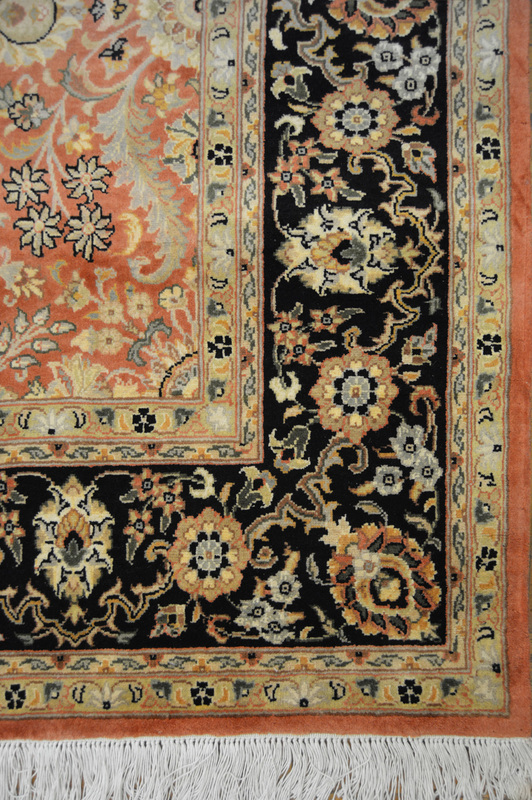 The peonies in this area rug symbolize rank and wealth, the leaves represent endless regeneration and its blossoms represent youth, spring and newly weds. 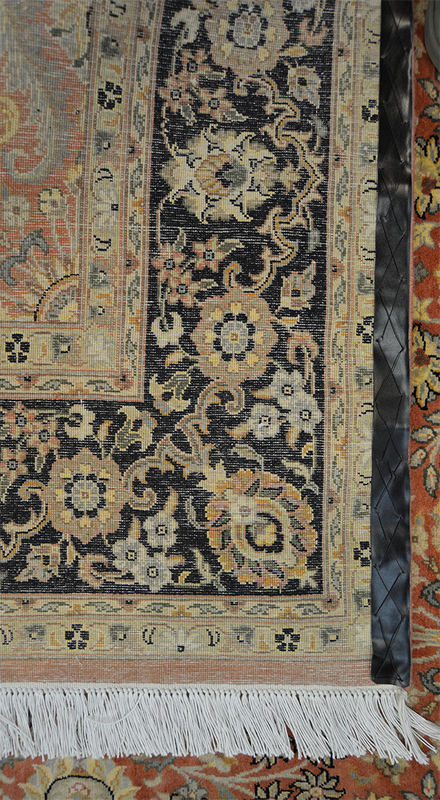 Colors also play a major role in conveying the story of rugs. For instance, the orange in this particular piece represents devotion, piety and humility. Understanding how to "read" these symbols and patterns enables one to connect with the weaver's story, as well as community and society. At times, it can even provide historical insight and information on the best manner in which to showcase each work of art.